Tork EasyCube is a facility management software that brings a new level of efficiency to cleaning operations. Meanwhile, Tork PeakServe is speeding up hand towel delivery and reducing the risk of run-outs in the busiest of washrooms in stadiums, airports, and service stations. 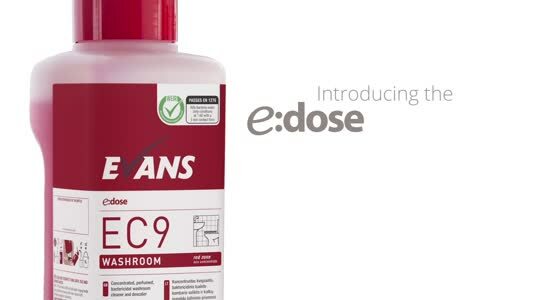 It is also proving highly popular in washrooms that are only serviced once a day - in schools, offices and food manufacturing facilities for example. “The show went well for us and we received a high level of traffic,” said Essity sales manager FSC and solutions Stuart Hands. “It offered us a great opportunity to showcase our latest innovations to new and existing clients. Tork EasyCube gathers real-time data from washroom sensors and enables cleaners and managers to access this information via a smartphone or tablet. This allows them to check remotely when a washroom is experiencing particularly heavy traffic or when a dispenser requires refilling. Tork PeakServe dispensers were also on display on the stand so that visitors could try them out for themselves. “Everyone was very impressed at how easy it was to use and refill the Tork PeakServe unit, and they liked its unobtrusive design – which is pretty amazing considering it can cater for over 1,000 washroom visitors between refills,” said Stuart. 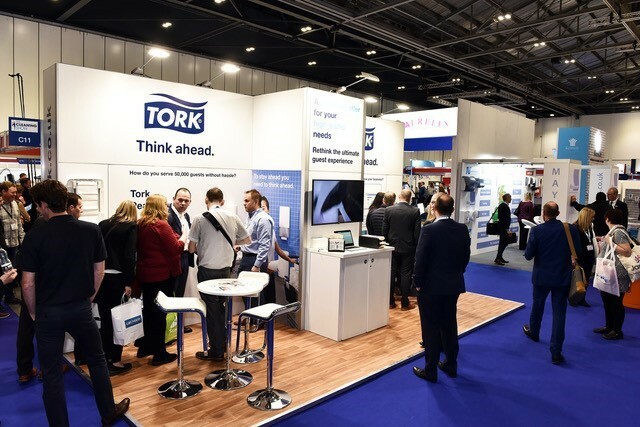 Also on show was the Tork Reflex kitchen wiping system which is designed to improve flow and enhance efficiency in commercial kitchens, and the Tork SmartOne Mini Twin, which is a high-capacity system that provides a practical alternative to the jumbo roll.